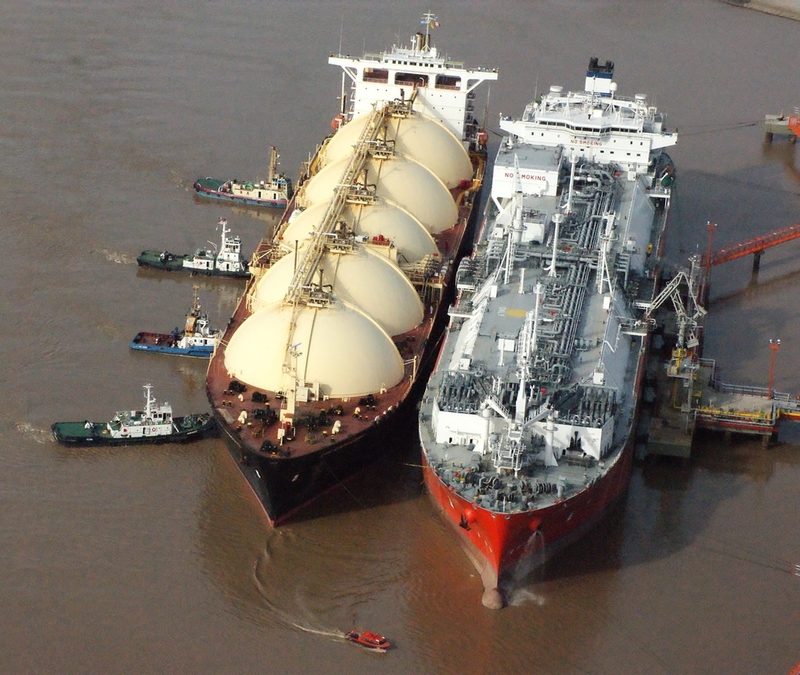 In this area on the Paraná de Las Palmas river is located the new YPF gas terminal. Also at this river area, there are various zones regulated with different purposes. This terminal belongs to YPF and operates with liquid natural gas (“LNG”, equals “GNL” in spanish), consisting of 1 main jetty connected to 2 smaller ones, giving a total frontage of 130 metres long (with 2 upstream outlying mooring dolphins at 70 m and 135 m, plus 2 other downstream at 65 m and 140 m), to where a storage and re-gasification vessel moors, and to which gas tenders side alongside to transfers its gas cargo. The main jetty has an articulated arm for offloading gas. The terminal is located on an excavated and dredged artificial basin abt 170 metres inside the southern river shore, giving a good security clearance with respect to river traffic. Depth alongside 12,70 metres, maximum LOA 230 m. The terminal is under Campana Port and Customs authorities. KM 77,5-83,0 Waiting zones for vessels waiting for high tide to resume navigation downriver or waiting for traffic to proceed up-river. KM 60.7-63,0 Waiting zone for vessels waiting for berth at Campana-Zárate. Standby pilots are obligatory at all times whilst vessels are anchored / operating in this area. KM 73,5-75,5 Forbiden crossing or overtaking zones. 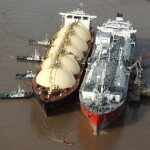 This also applies to KM 75,5-76,5 when ships maneuvering at Gas Terminal. KM 73,5-76,5 Anchorage prohibited zone.